Despite a pelvic fracture suffered during a crash in the first round of Eliminations at Sonoma Raceway, in July, this Kalitta Motorsports Funny Car driver is back on the track and aiming for a strong finish in the NHRA Mello Yello series. In 2009, DeJoria made a major commitment in her racing career by building her own team, Stealth Motorsports. She co-owned and operated the team for three years, and is one of the few females ever to do so. After successfully owning her own Top Alcohol Funny Car team for several years, DeJoria decided that she was ready to take on her dream challenge – joining Kalitta Motorsports team as their fourth member and second Funny Car driver. 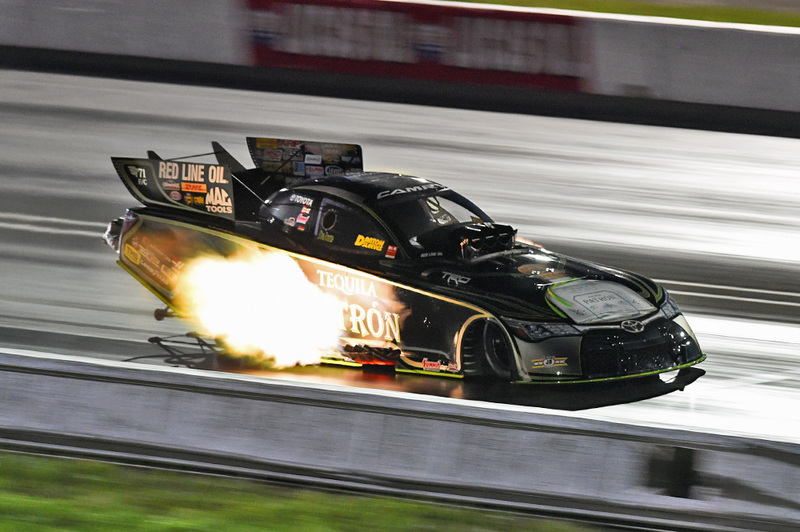 Since joining Kalitta, DeJoria has continued to turn heads and pick up wins. 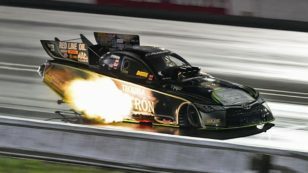 After she returned to the track in Indianapolis, following an injury that tried to destroy her chances at a strong finish this season, DeJoria secured her third consecutive NHRA Countdown to the Championship playoff berth at the 62nd annual U.S. Nationals. This strong willed driver will join Racing Junk fans on Twitter on Wednesday, October 5 at 11:00 a.m. EST/8 a.m. PST to answer all of your questions and tell you how to stay hopeful despite what life may throw at you. Be sure to follow the #RJAskAlexis hashtag to join this rising female drag racing star, who is sure to show all those boys that no injury is going to keep her from her dream come true. 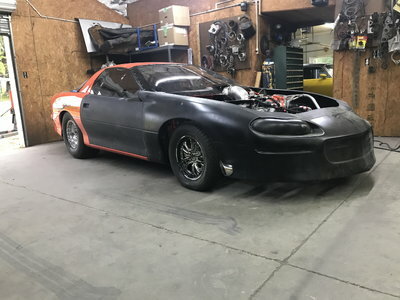 Find us on Twitter here: twitter.com/racingjunk or @racingjunk! Don’t have Twitter? Ask us questions on our Facebook page and we’ll pass them along! You can follow the whole chat here!